Clyde confirmed that it has made eight support staff redundant after a consultation earlier in the year. The top 20 UK law firm declined to confirm reports that it had separately made two senior associates redundant in its Manchester office. Eversheds confirmed today (24 May) that 116 staff would be made redundant across the firm. This follows a redundancy consultation that placed 166 jobs at risk, including 82 fee earners, at the beginning of the year. 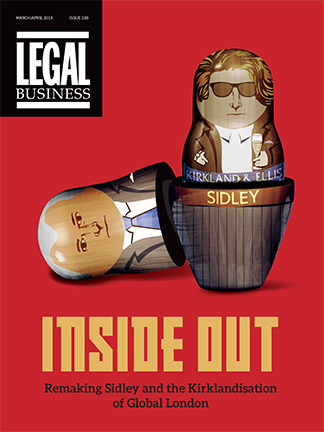 This was the UK law firm’s sixth redundancy round since 2007. In a statement the firm said: ‘Following the restructuring that we announced in January, the final number of redundancies that occurred across the firm was 116. This was significantly lower than the 166 positions that were put at risk as a result of the consultation exercise. The run of announcements come as a series of major law firms have announced impending or actual job losses including Berwin Leighton Paisner (BLP), CMS Cameron McKenna, Osborne Clarke, DWF, Olswang and Farrer & Co.
BLP in particular attracted attention for last week announcing a sweeping consultation that put more than 100 jobs at risk. The 720-lawyer firm is tipped to see a sharp fall in profitability for its 2012/13 financial year. On current form, 2013 looks likely to see more than 1,000 job losses at major UK law firms – the deepest run of cuts since 2009 when around 2,500 legal jobs were shed in the wake of the banking crisis. As yet, one difference is that leading London law firms have largely avoided the kind of sweeping job losses seen in 2009, when Linklaters, Allen & Overy and Clifford Chance all made more than 100 staff redundant in the UK. With law firm leaders generally gloomy over prospects for the second half of 2013, few are expecting the run of job losses to be over. Clyde & Co yesterday (16 April) confirmed it is to open a Madrid office following the appointment of a four-partner insurance team from DAC Beachcroft’s local office. The team of nine lawyers, including insurance partners Ignacio Figuerol, Ricardo Garrido, Pablo Guillen and Miguel Relano, have resigned to establish the office for Clyde & Co, extending the firm’s international footprint to 18 locations across Europe, America and Asia. The four partners are widely considered heavyweights in a firm thought to be a market leader in insurance law in the area. Figuerol also sits on the DAC Beachcroft management board. The terms of the departures, including timings, are currently under discussion but DAC Beachcroft says that it will continue to provide a full-service insurance offering to the market in Spain under the leadership of Paulino Fajardo, Enrique Gich and Pablo Wesolowski. The move to open in Madrid further reflects Clydes’ intention, since its merger with Barlow Lyde & Gilbert in 2011, to spread further internationally. Last summer, the firm became the first to open in post-Gaddafi Libya after it recruited Libyan Investment Authority general counsel Abudery Shariha. In the same period it announced that it was to launch in Sydney and Perth with an eight-strong team hire from Australian heavyweight Allens, while in February this year Clydes announced its intention to form an alliance with an Indonesian firm. Davies Arnold Cooper (DAC) established the Madrid office in 1989 and merged with Beachcroft in 2011, attracted by its Latin America group. Since then it has forged alliances internationally, most recently with an alliance with Colombian firm De La Torre & Monroy and Malaysia’s Gan Partnership. Just last month US firm White & Case opened in Madrid following the appointment of Latham & Watkins’ corporate head in the country, Juan Manuel De Remedios. Over the past few months CMS Cameron McKenna’s managing partner Duncan Weston has been on a charm offensive. Through lunches and presentations, he has been trying to convince the legal press that the European-wide CMS network is not just a disparate alliance, but is in fact one firm, no different to, say, Norton Rose or Squire Sanders. Clyde & Co saw seven partners leave its Hong Kong arm in April. Significantly, the departures were all former Barlow Lyde & Gilbert (BLG) partners that Clydes inherited following the two firms’ merger last year. Clyde & Co’s Michael Payton has held the top job at the firm for 27 years and since 1997 has formed a formidable partnership with CEO Peter Hasson. On the eve of the firm’s much-hyped union with Barlow Lyde & Gilbert, LB takes a closer look at this successful management duo. Michael Payton has presence: there is no other word for it. As one of the longest-serving senior partners in the City, when he enters the room he instantly seems to take charge.